Some sample text with words in bold or words in italics for emphasis; and a hyperlink to another website. 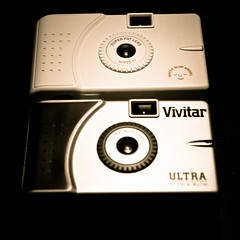 Vivitar Ultra Wide & Slim vs. The curly brackets set off a Template, which does certain things for you automatically. In this case it shrinks the image credits smaller, and links to another Camera-wiki.org page explaining its image rights. The coding: fdkljasfdlkj <small> smaller type </small> linking within Camera-wiki to [[Nikon | the Nikon article]] notice the double square brackets, and the vertical "pipe" character separating the link from the highlighted text. Use single brackets and no pipe in external links, for example [http://www.stiltoncheese.com/ there are no cameras on the Stilton Cheese website]. fdkljasfdlkj smaller type linking within Camera-wiki to the Nikon article notice the double square brackets, and the vertical "pipe" character separating the link from the highlighted text. Use single brackets and no pipe in external links, for example there are no cameras on the Stilton Cheese website. 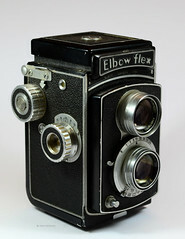 The Frunabulax Meadow was a collapsible glass-plate camera created by an unemployed Mongolian sheepherder in 1927. 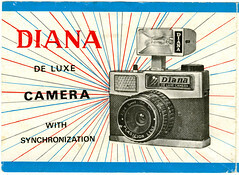 As the body was constructed entirely of goat-hair felt, collectors consider this to be one of the least practical cameras ever devised. It is certainly one of the smelliest, particularly when wet. The available lenses, if they can be dignified with such a name, were created by a unique process. The juice of a local plum was subjected to long periods of boiling, until the concentrated fructose solidified into a nearly-rigid, somewhat transparent (and tasty) mass. Careful patting by hand into a roughly lenticular form was followed by a period of sun drying. The images resulting from these lumpy blobs artisanal optics yield a hallucinatory horror rarely achieved in with conventional designs of ground and polished glass. The Frunabulax Meadow is thought to have been produced in a very small run, of only one and half cameras. Definitive records have yet to be found. How many viewfinder windows are on the front? 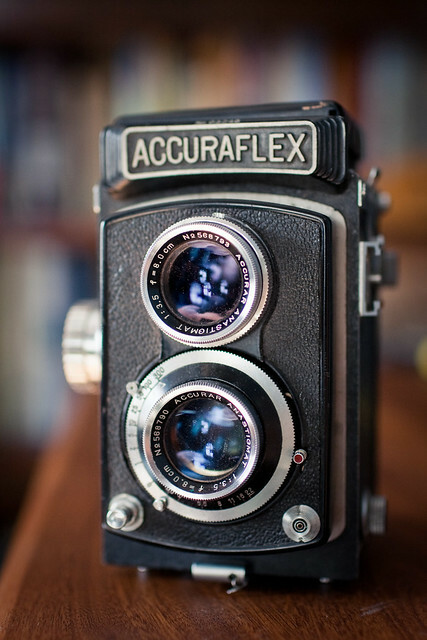 Is there a horizontal bar underneath the lens? Does the body have triangular neckstrap lugs? Is there a Flash Contact? What are those ugly dots? I get it! Rangefinder Technology of the Mamiya Six. The MediaWiki software probably allows you to change the style of the image, giving you access to the width and height dimensions. I'm not sure that it's worth the effort, though. Once you figure out how to change the dimensions, it will get awkward quickly. The particular image that you want to make larger would look blurry or blocky, if you tried to increase it's height. (When you take a small image and try to stretch it larger, you run into problems with upsampling.) On the other hand, you could take a larger image and use html to make the dimensions smaller, but that also leads to problems. Just testing aout another approach to references. Now nicely grouped. Note however that there will be no tooltips at the reference call . . .
- delete the "s" in "https"
By coincidence found out that the number directly after "farm" can be any number between 1 to 9 !! 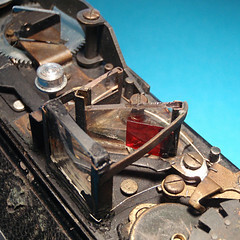 Box15 Rolleiflex Shutter Retaining Ring Tool (01). 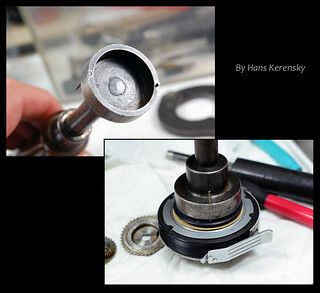 Pictures by Hans Kerensky (Image rights) Box15 Rolleiflex Shutter Retaining Ring Tool (01). This page was last edited on 18 December 2017, at 18:42.